I started working weekend shifts in restaurants when I was 15. I really wanted to become a cook, so I went to culinary school and started working fulltime in a kitchen. 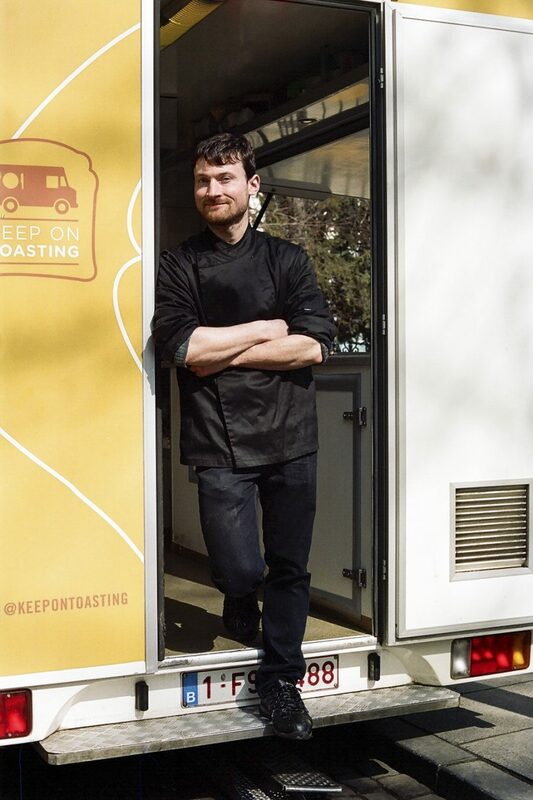 After gathering some experience over the course of the next five years, I launched my food truck Keep On Toasting in December 2012. I was inspired by traditional restaurant dishes, and turned them into a gourmet street food concept. As a ket from Brussels, I chose to use Belgian ingredients in my dishes, like cooked ham, Belgian cheese and endives to name a few. I like to work independently and be responsible for the end result. It’s also cool though to have a network of people with different skills to help your company grow and succeed. I can be proud to say I started a business on my own, which has been successful for more than five years now. Belgium is based on a realpolitikal compromise, so we don’t take ourselves too seriously. Our politics, architecture, mobility and linguistic borders might seem surreal, but at the end of the day it all kind of makes sense. Jean-Claude Van Damme: the muscles from Brussels, famous for his movies but also his special philosophical quotes. Benoît Poelvoorde: a great actor who’s fascinating because of his disturbed mind. Kim Clijsters: a talented tennis player who I find to be very inspiring because she managed to build a family and has always been very chill. Le Roy d’Espagne so they can enjoy a Flemish stew with beer on the very famous Grand Place of Brussels. Bruges, with its medieval atmosphere, is a must-see. And in the summer, kayaking in the rivers in the south of Belgium could also be a nice trip. I discovered the very first Ketjep alongside its creator in Brussels, back in 2012. Because we don’t overthink; we keep it real.